Heat combination steam oven to 180oC quarter steam/ 25% humidity. Line a loaf tin with baking paper. To prepare the topping: in a small saucepan melt butter, sugar and cream dissolve, set aside. Cut banana in half, cut each half into 3 slices lengthways, cut dates into quarters. 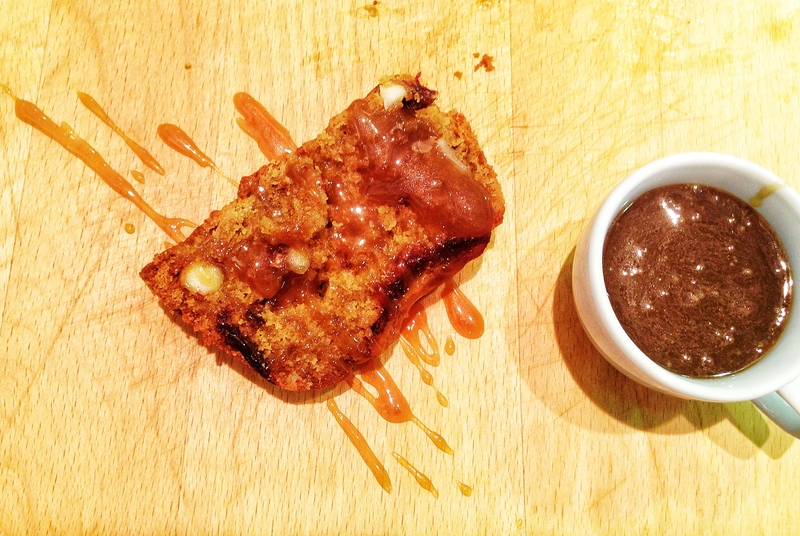 Arrange a slice of banana and dates alternatively in loaf tin, gently spoon sauce over the mixture. Mash bananas, finely chop dates, crush macadamia nuts, lightly whisk eggs, mix with olive oil and vanilla. Sift all dry ingredients together in a large bowl. Add wet ingredients to dry, mix until combined, mixture will appear lumpy. Gently spoon into loaf tin, smooth the surface. Cook for 30 minutes or a skewer comes out clean, allow to cool in the tin for 20 minutes, then turn onto a board and gently remove the paper. Serve with cream or ice cream and extra sauce.